When setting up quadrats you have several options. 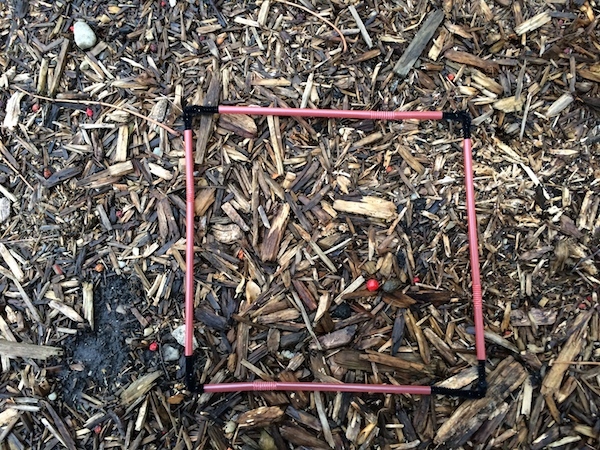 Quadrats can be made of pipe cleaners, PVC piping, straws linked together, or string and popsicle sticks. Pre-making quadrats can greatly speed up the mustard extraction experiment. PVC can be used by cutting PVC piping into four 25 cm lengths. These lengths can then be joined using an elbow. 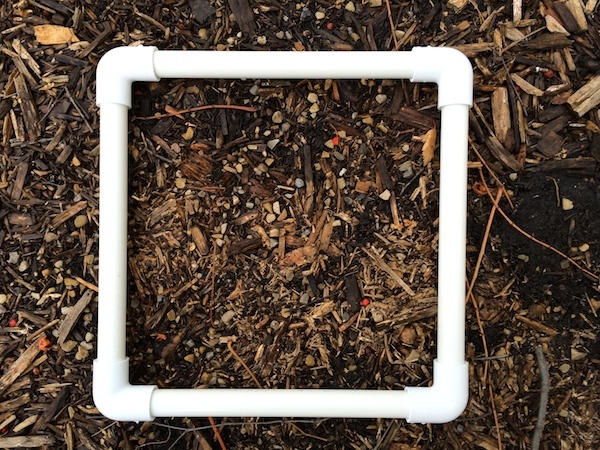 These quadrats are very sturdy and would be an ideal choice if you have multiple classes doing the mustard extraction experiment over multiple years. Pipecleaners can be used either alone or with straws to make quadrats. When used alone it is wise to twist two pipecleaners together to make a more sturdy quadrat. Twist the pipecleaners together to make a 25 cm square quadrat. These quadrats are quite flimsy and will probably only last a few classes before being bent out of shape. 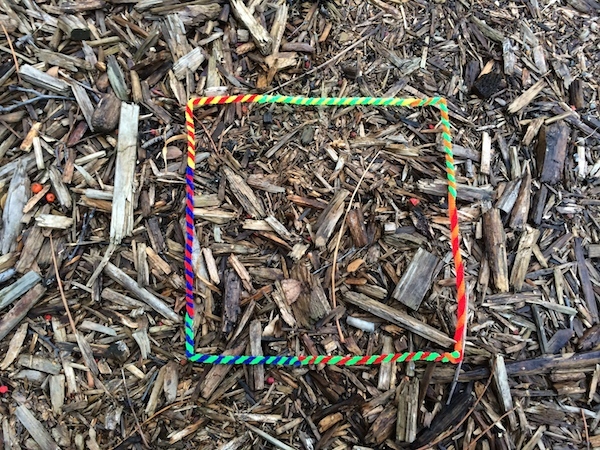 You can also use straws as the segments of the quadrat and connect these together using pipecleaners or tape. The benefit of this is that staws tend to be more resilient than pipecleaners alone. This method has the benefit of not requiring any pre-construction by the teacher, as students will be making their quadrats at the site. Students are not limited to the number of quadrats that are pre-made and so can sample multiple quadrats simultaneously. This option however does take more time and so additional class time should be allowed. 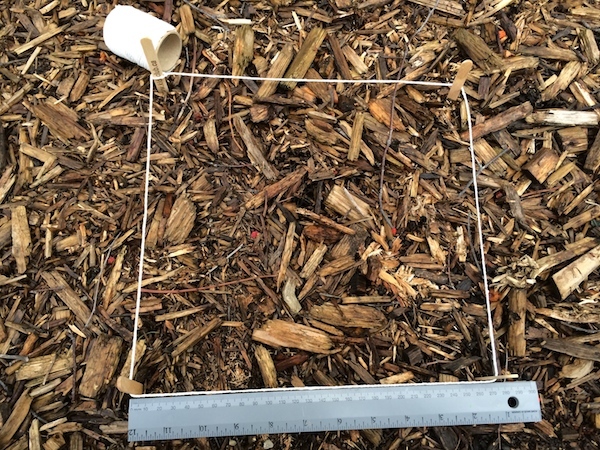 To set up quadrats this way, students will each require 4 popsicle sticks per quadrat, a roll of twine, a ruler, and a pair of scissors. 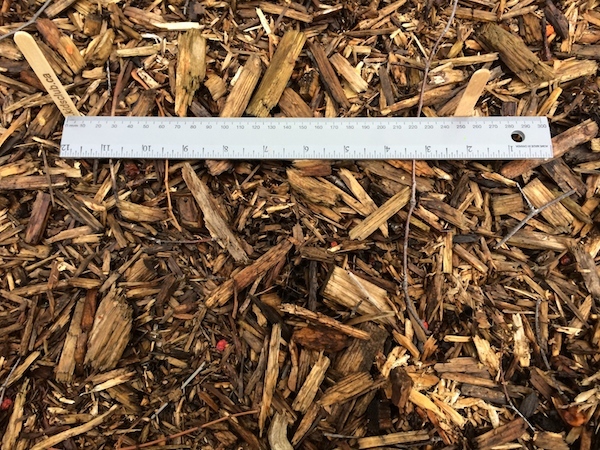 Students will first push one popsicle stick into the ground and then will measure 25 cm away from that popsicle stick. Students will repeat this process to create a rough square of popsicle sticks. Finally students will join the popsicle sticks together with twine. This is most easily accomplished by tying the twine around one popsicle stick and then wrapping it around the other popsicle sticks. Finally tie the other end of the twine to the first popsicle stick.